Reverdy Cassius Ransom was a civil rights leader, editor and the forty-eighth bishop of the African Methodist Episcopal (AME) Church. Ransom was born in Flushing, Ohio to George and Harriet (Johnson) Ransom. In 1869, Ransom’s family moved to Cambridge, Ohio, where he spent several years in segregated public schools. As his mother did not believe this education to be equal to education whites were receiving, she had young Ransom tutored by some of the members of the white families for whom she worked for as a domestic servant. 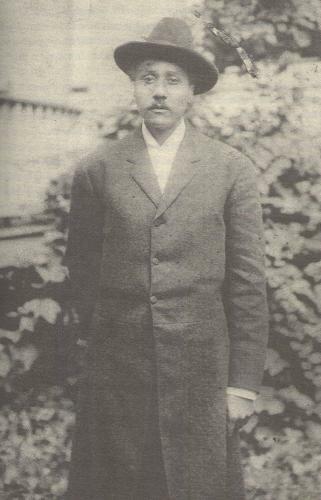 Due to the determination of his mother, who deemed that if young white men and women were able to enter college, then her son should as well, Ransom enrolled at Wilberforce University, an all-black institution, in 1881. The next year Ransom transferred to Oberlin College, an ostensibly integrated institution which nonetheless still segregated its social and recreational activities. After addressing a protest meeting to fight the college’s recent decision to segregate the Ladies Dining Hall, he lost his scholarship at Oberlin, and then transferred back to Wilberforce where he graduated in 1886. Three years before his graduation, Ransom had been licensed to preach. He was ordained as a deacon in 1886 and in 1924 was elected the forty-eighth bishop of the AME Church at Louisville, Kentucky; he remained an active bishop until 1952. After holding the pastoral position in several different churches, Ransom settled in Chicago in 1896 where he set up numerous programs to help blacks who were migrating from the South. He established a Men’s Sunday Club, and bought a large church building in which he created a gymnasium, various reading rooms, a kindergarten, and youth clubs. The building was bombed when Ransom spoke out publicly against gambling, but he remained at the church for four years. In 1905 Ransom joined the Niagara Movement organized by W.E.B. Dubois and other prominent African American leaders in opposition to Booker T. Washington’s conservative stance on the position of Negroes in the American society. Washington argued for the bending of Negroes to white Americans needs; he believed they should remain quiet and not agitate for their rights. Ransom fervently disagreed and spoke out against these views; he eventually was elected editor of the A.M.E Church Review in which articles concerning these issues often appeared. In 1913, Ransom established a mission in Manhattan called the Church of Simon of Cyrene from which he conducted ministry to the urban poor. One of the young men aided by Random was poet Paul Laurence Dunbar, whose first book, Oak and Ivy, Ransom helped sell at his church when Dunbar could not afford to pay the printer. Ransom was married three times throughout his life and had two children. After a long and successful career and lifetime of aiding others, Ransom died at the age of ninety-eight at his home in Wilberforce, Ohio in 1959.